Ernesto Valverde has named the 18 players that will be travelling to Málaga for Saturday’s top-against-bottom Liga clash at 8.45pm CET. Nélson Semedo, Denis Suárez and Andrés Iniesta all miss out through injury. Lionel Messi withdrew at the last minute due to personal reasons, so Yerry Mina takes his place. So, the squad that’s head south to the Costa del Sol is as follows: Ter Stegen, Piqué, Rakitic, Sergio Busquets, Luis Suárez, Mina, Dembélé, Cillessen, Coutinho, Paulinho, Paco Alcácer, Jordi Alba, Digne, Sergi Roberto, André Gomes, Aleix Vidal, Umtiti and Vermaelen. 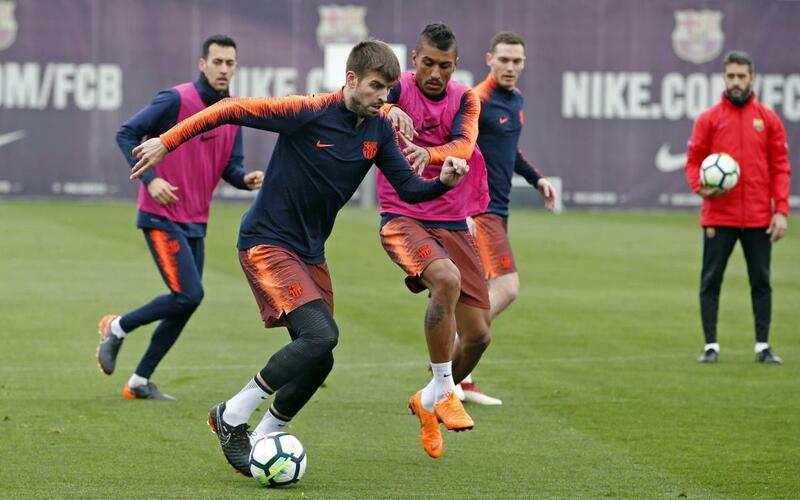 The team trained one last time on Friday evening, where they were joined on the Tito Vilanova field by Alberto Varo and Carles Aleñá of the B team.